Lucie Bel McAvoy, or “Mother Paddle” as she was affectionately known by her Region III friends, was a major factor in the growth of the game in Region III, starting in the late 1960s as a teacher, and introducing paddle to many clubs and organizations in the area. When she started the Mid-Atlanic Region had just two platform tennis courts, but by 1991 Region III hosted the APTA Men's and Women's Nationals using 31 courts at 13 locations. 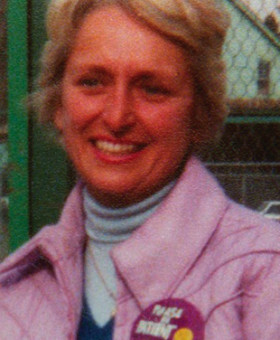 Lucie won many regional women’s and mixed tournaments, including four with her son, Tim, and won the National Women’s 50+ four years in a row (1982-1985)2 with Bunny Vosters. No one did more for the development and growth of platform tennis in her region than “Mother Paddle1,” with the possible exception of her son Tim, who himself was a Hall of Fame Inductee in 2012. While the phenomenal expansion of the sport from the late 60s into the 80s was accomplished with the enthusiasm and dedication of many paddle devotees, one of the long-time leaders of this group was Lucie. 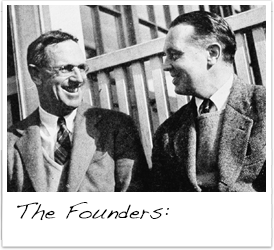 In an 1991 interview with The Inquirer she recalled:”To get people to play, I went to two clubs, Waynesborough and Merion Cricket Club, for two years and taught people how to play for free.” And, in 1971, she and a friend started Paddle Ltd., which at one point was teaching more than 100 students a year at clubs in the Philadelphia, Wilmington and Baltimore areas. 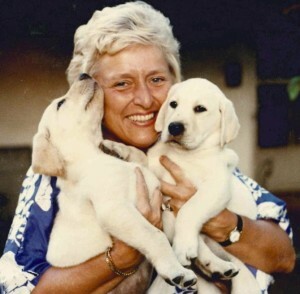 She helped establish Region III, known as the Mid-Atlantic Platform Tennis Association, and that group has since spearheaded the development of many tournaments, such as the Richmond, Wilmington, Lehigh, Baltimore, Pennsylvania, and Metropolitan Area Platform Tennis Association (MAPTA) championships. In addition, at the time of Lucie’s induction, it was estimated that over 1,000 people played in league and inter-club competitions in the area. McAvoy also distinguished herself in championship play. On the national scene, she competed successfully for over twenty years. 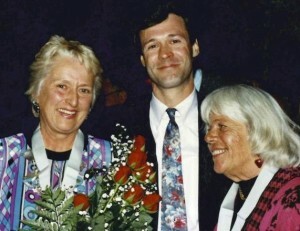 She and her long-time partner, Bunny Vosters, won the National Women’s Seniors 50+ four years in a row2, from 1982 through 1985, becoming the first team to do so. She also won the regional MAPTA Women’s Championship many times, and the MAPTA Mixed Championship nine times between 1974 and 1991, the last four with her son,Tim. Lucie Bel McAvoy was a person with a passion for life, for family, for others, and for paddle. Always outgoing, friendly, and considerate, she poured her energy into whatever she felt was worthwhile, and our game was the beneficiary. McAvoy (nee Barnes) was born in St. Louis and moved with her family to Scarsdale, NY during her high school years. She was one of the top teenage tennis players at Fox Meadow Tennis Club along with her sister Sally (The Barnes Sisters). She attended Mount Holyoke and graduated in 1954. While at Holyoke Lucie Bel was invited to spend a weekend at a friend’s family farm in Phoenixville, PA. The friend had a brother, Thomas B. McAvoy III. The rest is history. McAvoy died at home after a battle with cancer. Note: (1) McAvoy was honored in 1977 by the Metropolitan Area Platform Tennis Association for her support of the game and given a sterling-silver picture frame engraved with “Mother Paddle”, which became her nickname.